Having diabetes doesn't mean you can't have a baby. But there're a few things you need to know, like how diabetes affect pregnancy, how to manage it during pregnancy. Speaking of fertility drugs for men: gonadotropins those who produce alarmingly low number of sperm, bromocriptine to decrease the levels of prolactin, what about other drugs and their functions? 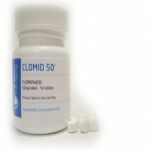 Concerning Clomid and ovulation, Clomid has been proved effective in fertility treatment with 70% women reporting positive results with the use of it. But is Clomid the right one for you? Fertility drugs for women are used for ovulation disorders by releasing hormones to regulate or trigger ovulation. However, use them with caution as they may have side effects like birth defects and ectopic pregnancy. When is the best time to have second baby? 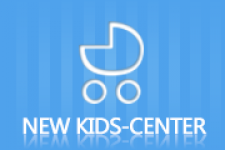 The detailed answer with 5 considerations can be of great help when planning a second baby. 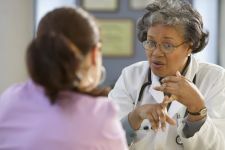 How is PCOS and infertility related? PCOS is a condition which can contribute to infertility and causes symptoms like obesity and diabetes. Luckily, infertility caused by PCOS can be treated. What are the chances of getting pregnant after delivery? Pregnancy after delivery is quite possible. If you don't want it, better take measures such as contraceptives to avoid it! Yoga for fertility can improve the condition of pelvic, ovary and uterus and other related parts of getting pregnant. Follow the steps here and find one you like. Infertility is the least thing you want to face when you and your spouse are trying to have a baby. Read on to learn the most common and popular infertility treatments. Tracking the appearance of your cervical mucus is a good way to tell when you are most fertile. You can also find out how exactly the CM is related to your fertility, and some tips on CM problem.